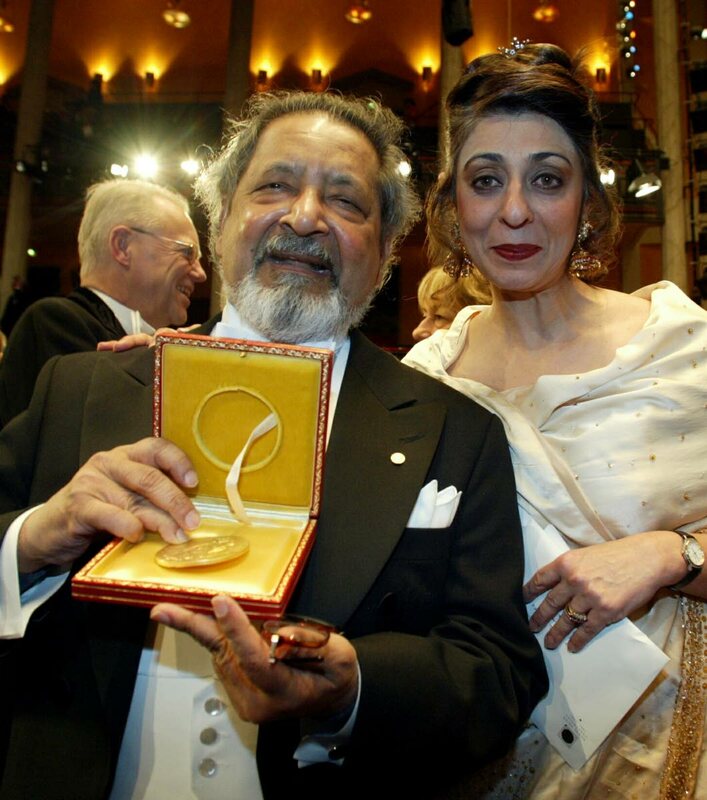 Nobel literature laureate Sir V S Naipaul, with his wife Nadira at his side, displays his medal after receiving it from the Swedish king at the Concert Hall in Stockholm, December 10, 2001. “TT made him. It shaped him, and even when he was vexed with TT, it haunted him throughout his career,” Ken Ramchand, Prof Emeritus at the UWI St Augustine’s Department of Literature, told Sunday Newsday. Sir Vidia, who had been ailing for some time, died yesterday at his home in London, just shy of his 86th birthday on August 17. Naipaul was “by far” the most important TT writer of the 20th century, Ramchand said. “People make the mistake of treating him as a British writer but he was Trinidadian to the core. No matter where he lived or what his immediate subject matter was, he wrote as a Trinidadian out of his Trinidadianess,” Ramchand said. 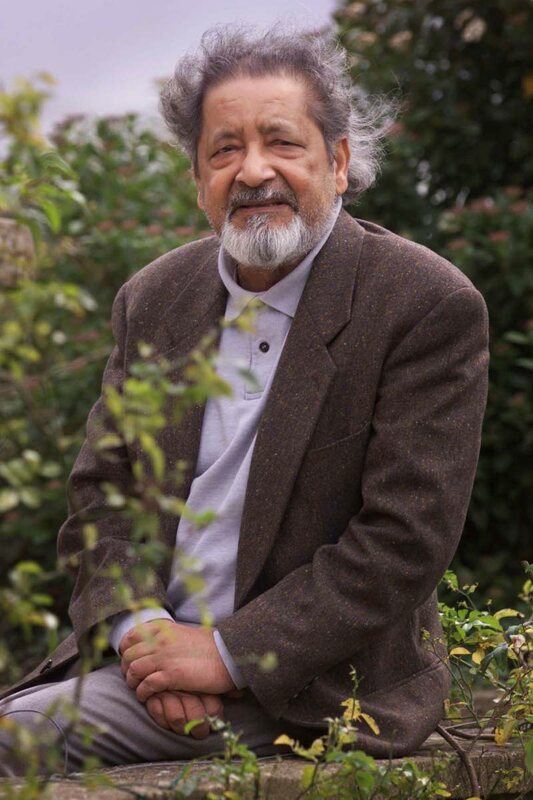 More than a mere writer, Ramchand described Naipaul as a great historian as well, whose works captured the social evolution of the Indo-Trinidadian population, of which he was a part, and also of the country. The book moves from 1900 to the 1950, and gives a sense of the evolution of people of Indian origin as they move from Indian Indians to Trinidadian Indians, and their aspirations as they claim their place in society, Ramchand said. But it wasn’t just the Indian journey, but the evolution of TT—every major landmark from 1900-950 is record in the novel, he added. Ramchand described The Loss of El Dorado (1969), Naipaul’s history of Trinidad and Venezuela, as the greatest work of history written about Trinidad. “It took us into the gut of what TT was, has become and can still be. He gives a kind of continuity to our history that no historian has ever been able to. One of Naipaul’s last public appearances in TT was at the UWI St Augustine, where he gave a reading to a crowd of over 2,000 people eager to see the legend in person back in 2007. Dr Bhoe Tewarie, the UWI principal at the time, told Sunday Newsday that he was happy to have had that time with Naipaul, and having him interact with the UWI community. “I know that he was ailing but I am sad to see him finally go. He was a great writer. A formidable intellect, an often controversial writer and commentator but he has given the world a range of books and a quantity of ideas which I am sure will be probed for many years to come,” Tewarie said. Despite Naipaul’s undisputed impact on the literary landscape of TT and the Caribbean, the man and his attitude to his birth country—and its people— has been contentious. Journalist, writer and Newsday’s Editor in Chief, Judy Raymond, who has written extensively about Naipaul over the years, said, “Naipaul’s compatriots have been ambivalent about him for many years, probably since he wrote The Middle Passage in 1962, a travel book in which he found fault with his native island. Until then he had written of Trinidad with humour and affection in books such as the collection of linked stories of life in Woodbrook, Miguel Street (1959), and The Suffrage of Elvira (1958). Raymond noted that it did not go down well with the people of TT either when his homeland got no credit in his Nobel Prize acceptance speech in 2001. His reputation suffered more damage in 1998, when his discarded friend, the American writer Paul Theroux, published Sir Vidia’s Shadow, an account of their former friendship that revealed some of the less attractive sides of Sir Vidia’s personality. The authorised biography by English writer Patrick French, The World Is What It Is (2008), contained further shocking revelations about, among other things, the way Naipaul had treated his first wife, Patricia Hale, and his longtime Argentine mistress. “Naipaul seemed untroubled; his attitude appeared to be that it was the work that mattered and that would endure. And so it may well prove,” Raymond said. But, she added, his 1961 masterpiece, A House for Mr Biswas, which, like much of the rest of his early work, was based in Trinidad and largely autobiographical. Also among the best of his other books – which included numerous travel books and non-fiction studies as well as novels and short stories – is the 1979 novel A Bend in the River (1979), which is critical of post-colonial Africa, but which is “brilliantly, beautifully written in the pellucidly clear prose that Naipaul perfected,” she said. Naipaul’s passing, coming so soon after Derek Walcott’s (March 2017) and Wilson Harris’ (March 2018), forecasts the passing of a group of canonical Caribbean writers whose works formed the literary foundation for more than a generation of readers, students and scholars, said journalist and commentator, Dr Sheila Rampersad. Naipaul’s technical superiority is widely established. Sadly, many Trinidadian readers have either been deprived of or deprived themselves of his creative genius because he did not conform to the narrow definition of patriotism that continues to prevail in this New World nation trying to locate its philosophical centre, she said. “The imagination is sovereign; Naipaul claimed that sovereignty to critique this society with insights that were painful to contemplate. Those insights are perhaps even more relevant today than they were when he described us as a half-made society. His early Trinidad works remain distinguished in their sensitivity, compassion, wit and depth of understanding of the Trinidadian character,” she said. This 2001 file photo shows British author VS Naipaul in Salisbury, England. Reply to "Trini to the core"